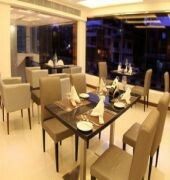 Best Western Elyon Colombo is situated in Colombo five, easy access to National Museum of Sri Lanka, Galle Face Green and the Royal Colombo Golf Club. Guestrooms feature individually controlled air conditioning, satellite television, work desk, coffee and tea making facilities, mini bar, in-room safe, hair dryer and bathroom. Free wireless high-speed internet access is available in all rooms and public areas. 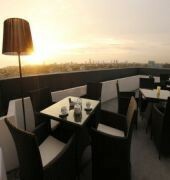 With a wide variety of food choices, the hotel houses an all day dining restaurant and a cocktail lounge located at the rooftop. Guests can make use of the exercise room fitted with treadmill and weightlifting equipments. For additional convenience, the hotel also offers concierge, foreign currency exchange, laundry, baby sitting on request, business centre and free parking facilities. Bandaranaike International Airport is 36 km away.